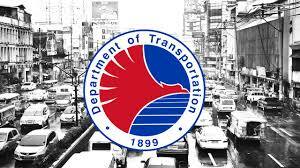 This is to warn the public against individuals claiming to be Department of Transportation (DOTr) Secretary Arthur Tugade, and asking for sensitive details about agency projects, operations and services. This morning, an unidentified man purporting to be Secretary Tugade, and sounded like Sec. Tugade, called up Subic Bay Metropolitan Authority (SBMA) Chairman Amy Eisma asking for a list of SBMA projects that are for bidding, list of franchises of taxi units operating within Subic, and other sensitive project details. The number used by the impostor was 09776531685. Please be informed that Secretary Tugade does not tolerate misrepresentations of this nature in any way, form, opportunity and manner, as the same may lead to other illegal and unlawful activities such as unauthorized use of information and/or solicitation of money. The DOTr also condemns such fraudulent acts, and vows to coordinate with proper authorities to swiftly investigate and determine those who are responsible behind this scam. The DOTr likewise requests the public to be more vigilant and discerning, and to report similar cases, or any other suspicious undertaking using the name of the Secretary, or any other official of this Department.